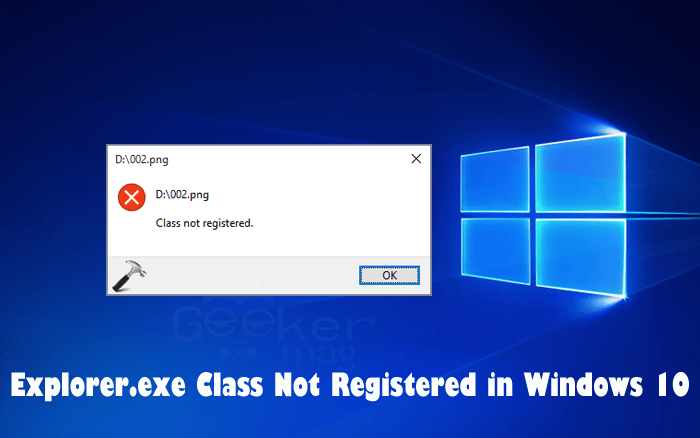 Want to fix error named as Explorer.exe class not registered in Windows 10? In this post, you will find out possible ways to troubleshoot the issue. 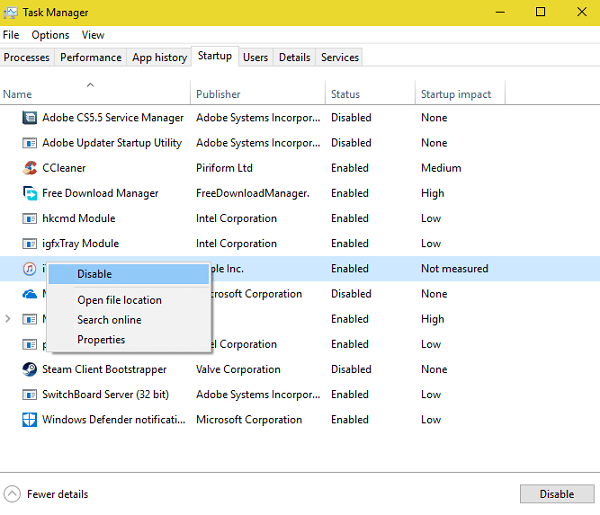 Windows 10 comes with lots of useful features, but apart from them, there are lots of issues and errors which users are facing while working on it. One out of them is Explorer.exe class not registered in Windows 10. Lots of users don’t even have any idea why they see the Class Not Registered Explorer.exe error message. If you’re one out of them unable to Start Menu, Edge, Internet Explorer, Cortana, and other programs, then try the troubleshooting steps mentioned in upcoming lines to resolve the issue. As I shared with you so many time that more than 70% issues related to Windows operating system can be fixed just by performing a quick reboot. So in this situation, you can also try this step. In the Task Manager window switch to Startup and look for iCloud. Now make a right click and select Disable. Reboot your system and check if this fixes the issue. If not, then try the next step. 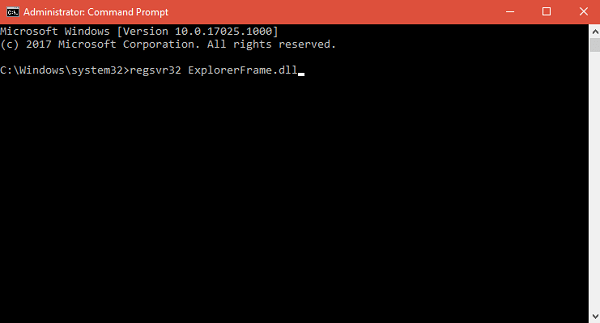 Launch Elevated Command Prompt window in the Windows 10. In the terminal type regsvr32 ExplorerFrame.dll and hit Enter. Once the process is completed, reboot the system. It will look for and replace the corrupted files of windows operating system if found any. 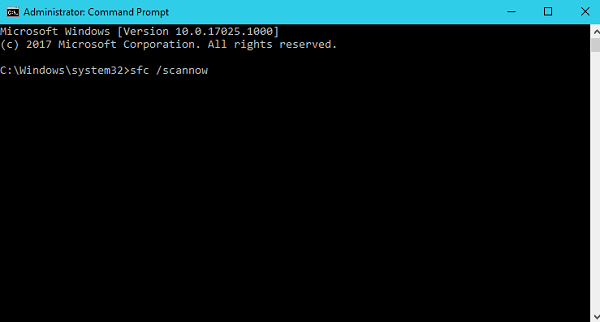 Launch Elevated Command Prompt window and type sfc /scannow and hit Enter. The process may take few minutes. Once its completed reboot the system. 1. Type dcomcnfg in the Start menu search bar. When the same command appears in the search result, click to open it. Navigate to the following location: Component Services > Computers > My Computer > DCOM Config. 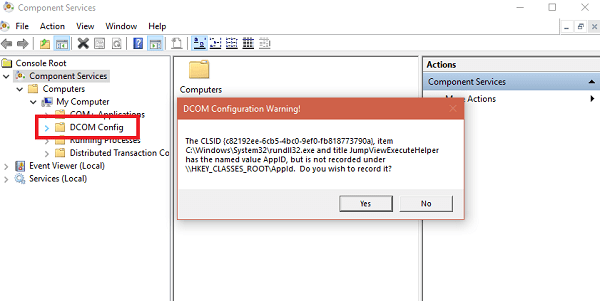 Click on the arrow to expand DCOM Config, and you will see a various dialog box asking if you desire to register some of the components. Here you need to click on the Yes. You may experience this once or many times. Once the process is completed, this will fix the DCOM errors which is return causing Class Not Registered Explorer.exe error. Launch the Task Manager by pressing CTRL +SHIFT +ESC keyboard combo. 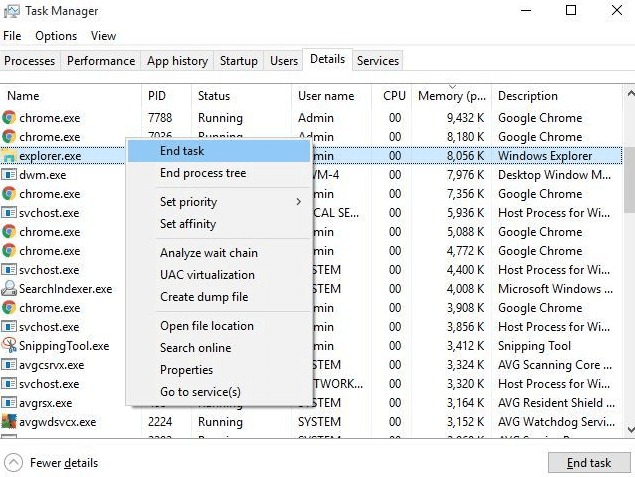 Here scroll down until you find Explorer.exe process. Once you find it make right click on it and select End task. Now Click on the File -> Run new task. In the space provided type Explorer.exe and click OK.
Windows Explorer will start again, and I’m sure this will also fix the issue. In the Start menu search bar, type services.msc and when the same result appears in the search result click to open it. This will open the Services Manager. 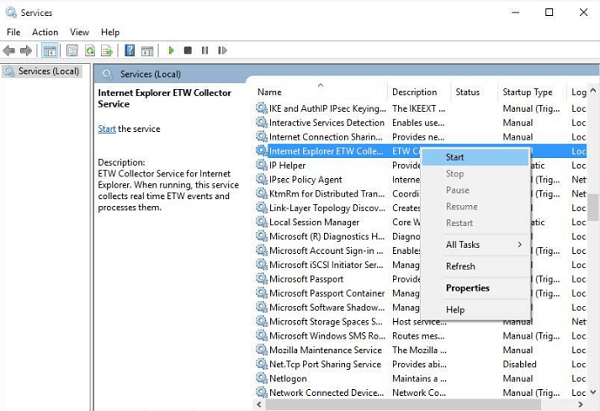 Here scroll down and look for the service which reads “Internet Explorer ETW Collector Service.” Make a right click on it and select Start button. This will help if you’re facing any issue while using Edge and Internet Explorer. You can also try to create a new user account. After creating a new user account log into your system using that account if this fixes the issue. 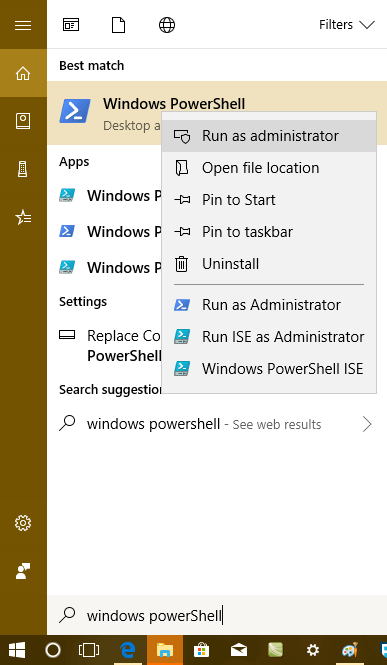 In the Start menu search bar type Windows Powershell and when the same application appears in the search result make a right click on it and Run as administrator. In the Windows Powershell terminal type or paste following code and hit enter. Once the process is completed. Reboot your system and check if this fixes the issue. In case, nothing worked for you; then last resort is to perform a clean installation of Windows 10. 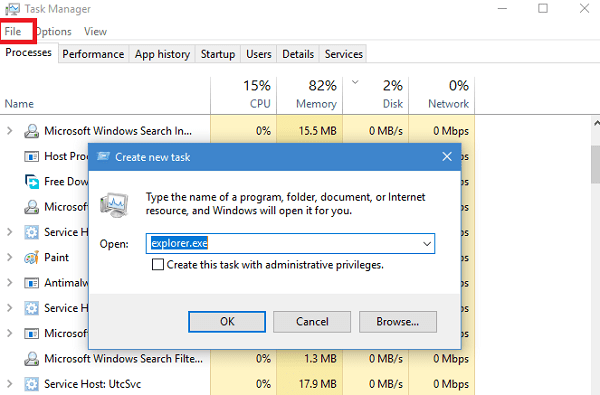 I hope my this post on how to fix Explorer.exe Class Not Registered in Windows 10 useful. In case, you need any assistance then drop it in the comment section.